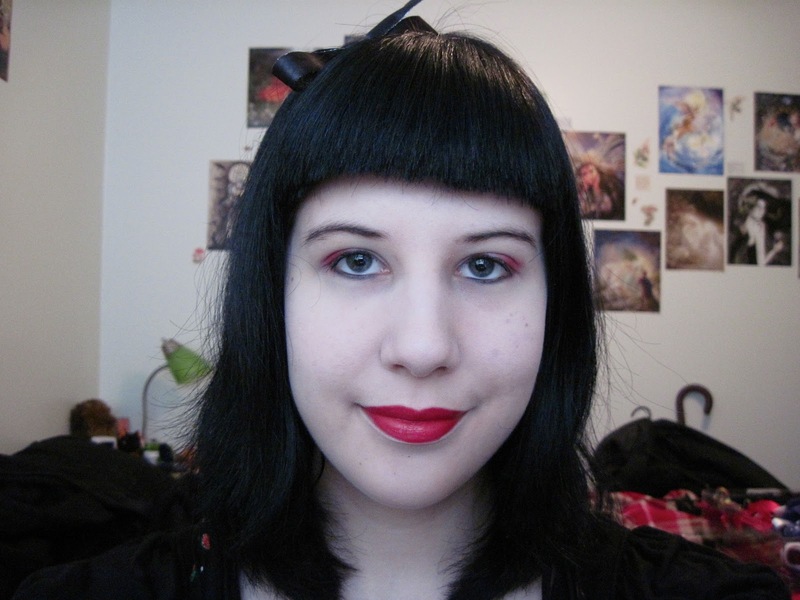 Black Ink and Black Cats: Happy World Goth Day, Creepy Cats! 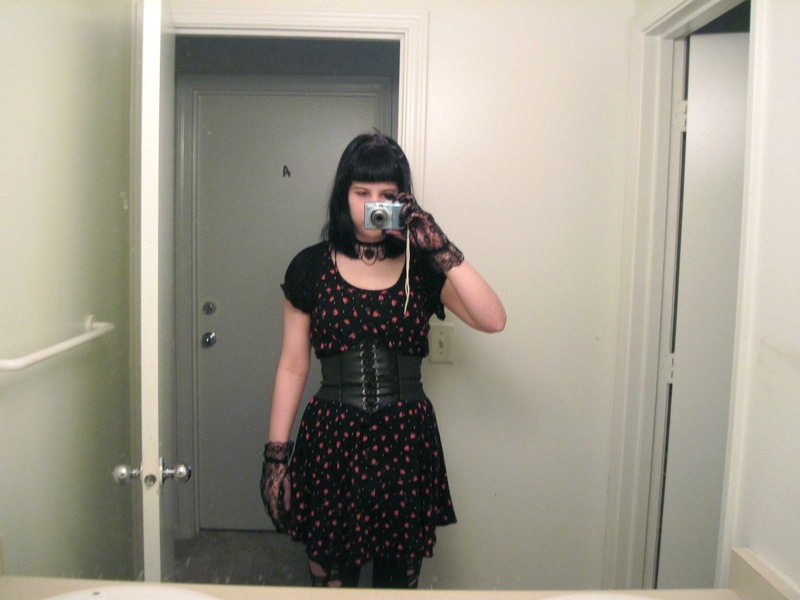 So today is World Goth Day, so I decided to make a special post. Okay, it's not actually all that special, just I usually don't post on week days since I'm so swamped with school. But as this one is mainly pictures, it's not too much of a hassle. 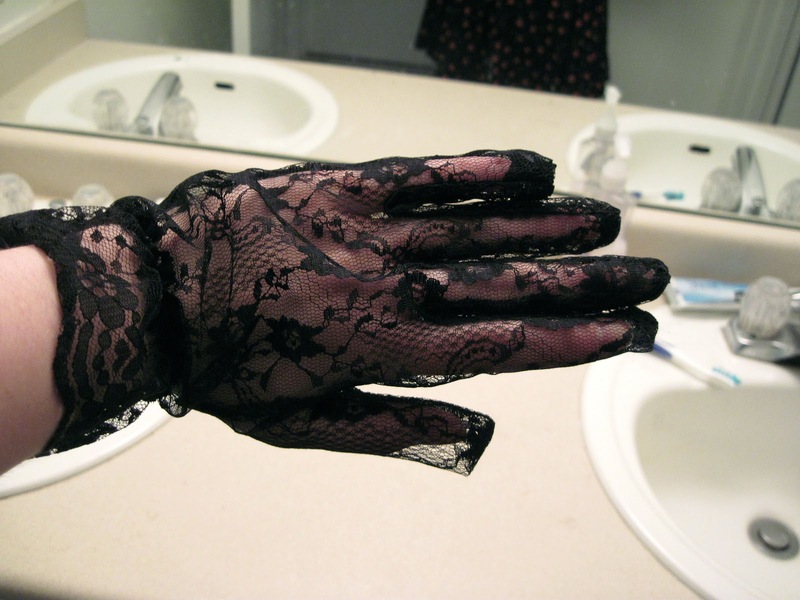 For my outfit for World Goth Day, I wanted to try making a "romantic" look. Not sure if I achieved that, but I like how I look at least (it's something). 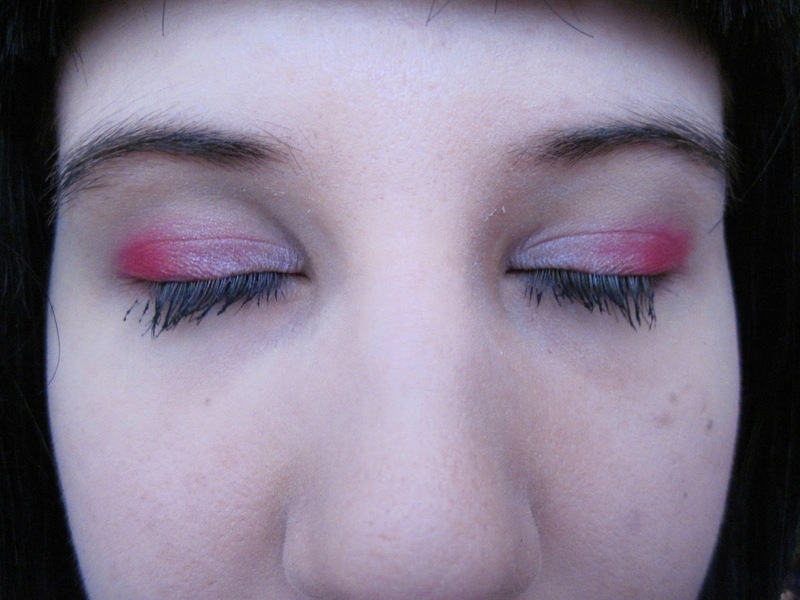 For my makeup (please excuse the terrible eyelashes, I still haven't replaced my broken eyelash curler), I used Sugarpill in Love, which is a fantastic red eyeshadow that's really pigmented. 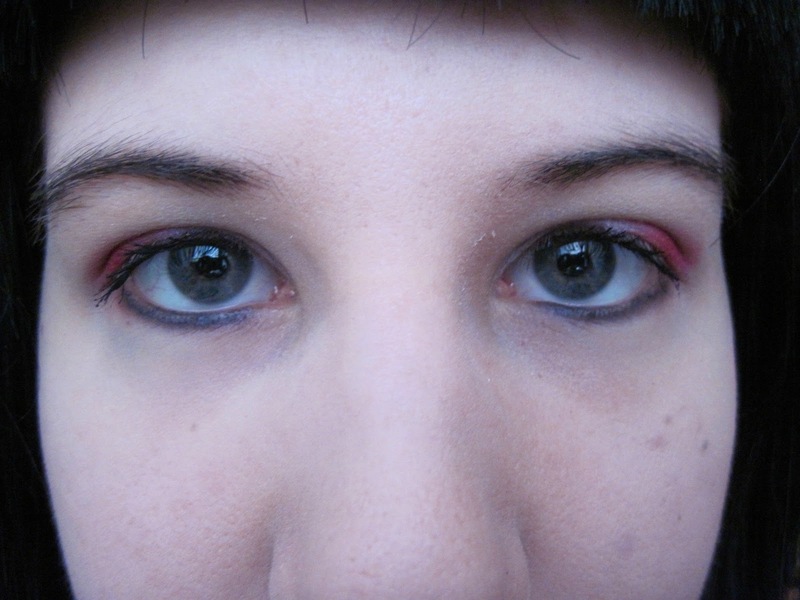 I also used some light pink and white eyeshadows I had laying around.And some black on the bottom. 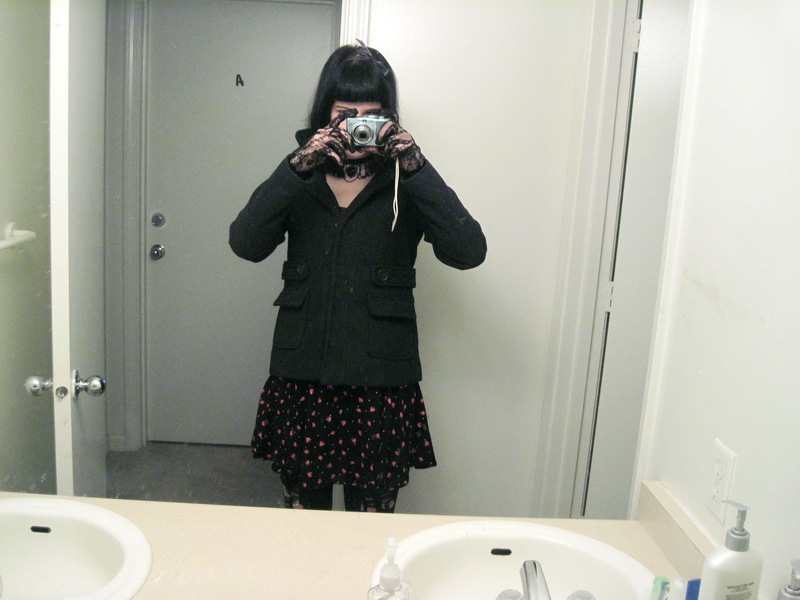 Most of this outfit I got at various thrift stores, but the waist cincher I got from Ebay (man, I love that website, a little too much by the looks of my bank account), the gloves are from Sockdreams, and the boots are Demonia Disorder 204 (have I mentioned before how much I love these boots? Well, I really really love them.). Oh, and my chocker (which is my favourite piece of jewellery I must say) is from Claire's (see, fabulously cute stuff doesn't have to be expensive). Okay, I promise not so many pictures in the next post (at least pictures of myself). Have an awesomely spooky World Goth Day, everyone! Mmmmmmph, I love your entire look here Kim! I think you achieved the romantic look quite adorably! 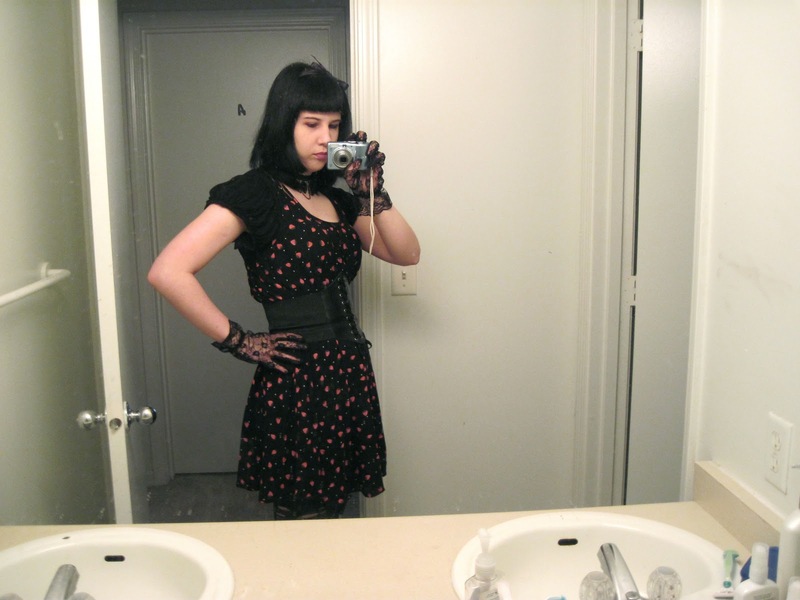 That waist cincher and dress are killer, and I love your hair and makeup too.